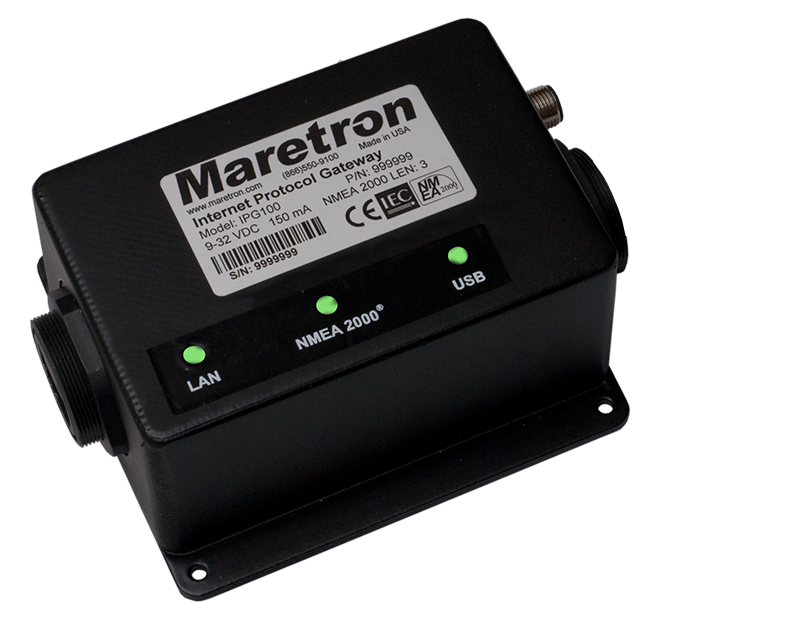 The Internet Protocol Gateway (IPG100) lets you connect PC's, Mac's, tablets, or smartphones to an NMEA 2000® network so you can monitor and control your vessel using Maretron's N2KView® software. 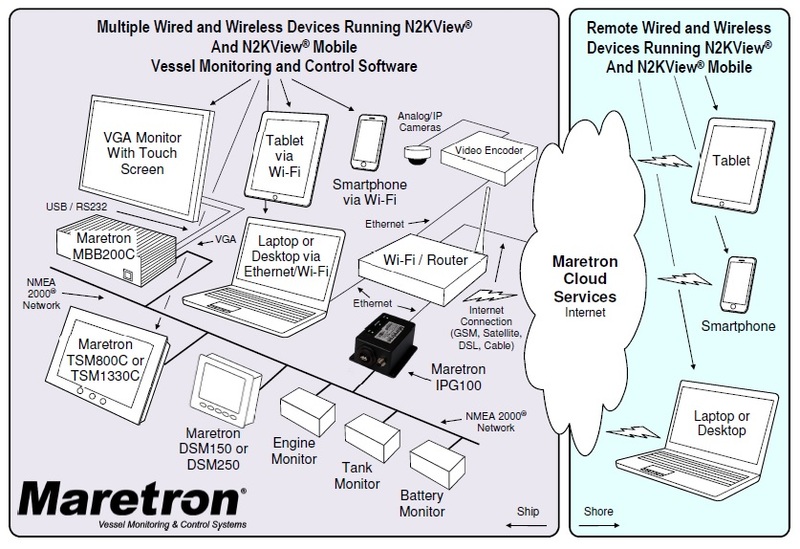 The conventional way of viewing NMEA 2000® information is with a display on the vessel that is directly connected to an NMEA 2000® network (such as Maretron black boxes (MBB300C's), and Maretron touch screens (TSM800C's, TSM1330C's)), but with the IPG100, you are not limited to direct connected displays. With the IPG100, you can use any device running N2KView® software to monitor and control your vessel from onboard or ashore. The IPG100 has an NMEA 2000® and an Ethernet data port for exchanging information between the onboard NMEA 2000® network and Internet Protocol (IP) enabled devices using conventional technology such as routers, switches, and wireless modems. Once enabled, the IPG100 will automatically connect to Maretron’s Real Time Cloud Service, which allows you to remotely connect to your vessel via the Internet. This allows you to keep an eye on your vessel from anywhere in the world.